Note: An image of the chart is also available. For a guide to pronouncing IPA transcriptions of English words, see IPA chart for English. The general principle of the IPA is to provide one symbol for each distinctive sound (or speech segment). This means that the IPA does not use letter combinations unless the sound being represented can be regarded as a sequence of two or more sounds. [III] The IPA also does not usually have separate letters for two sounds if no known language makes a distinction between them (a property known as "selectiveness"),[IV] and it does not use letters that represent multiple sounds, the way represents the consonant cluster [ks] in English. Additionally, in the IPA no letters have sound values that are context-dependent, such as in English (and most other European languages). This is the English Consonantal System using symbols from the International Phonetic Alphabet (IPA). The velar nasal [ŋ] is a non-phonemic allophone of /n/ in some northerly British accents, appearing only before /k/ and /g/. In all other dialects it is a separate phoneme, although it only occurs in syllable codas. The alveolar flap [ɾ] is an allophone of /t/ and /d/ in unstressed syllables in North American English and Australian English. This is the sound of tt or dd in the words latter and ladder, which are homophones for many speakers of North American English. In some accents such as Scottish English and Indian English it replaces /ɹ/. This is the same sound represented by single r in most varieties of Spanish. In some dialects, such as Cockney, the interdentals /θ/ and /ð/ are usually merged with /f/ and /v/, and in others, like African American Vernacular English, /ð/ is merged with dental /d/. In some Irish varieties, /θ/ and /ð/ become the corresponding dental plosives, which then contrast with the usual alveolar plosives. The sounds /ʃ/, /ʒ/, and /ɹ/ are labialised in some dialects. Labialisation is never contrastive in initial position and therefore is sometimes not transcribed. Most speakers of General American realize <r> (always rhoticized) as the retroflex approximant /ɻ/, whereas the same is realized in Scottish English, etc. as the alveolar trill. The voiceless palatal fricative /ç/ is in most accents just an allophone of /h/ before /j/; for instance human /çjuːmən/. However, in some accents (see this), the /j/ is dropped, but the initial consonant is the same. The voiceless velar fricative /x/ is used by Scottish or Welsh speakers of English for Scots/Gaelic words such as loch /lɒx/ or by some speakers for loanwords from German and Hebrew like Bach /bax/ or Chanukah /xanuka/. /x/ is also used in South African English. In some dialects such as Scouse (Liverpool) either [x] or the affricate [kx] may be used as an allophone of /k/ in words such as docker [dɒkxə]. Most native speakers have a great deal of trouble pronouncing it correctly when learning a foreign language. Most speakers use the sounds [k] and [h] instead. Voiceless w [ʍ] is found in Scottish and Irish English, as well as in some varieties of American, New Zealand, and English English. In most other dialects it is merged with /w/, in some dialects of Scots it is merged with /f/. It is the vowels that differ most from region to region. Where symbols appear in pairs, the first corresponds to American English, General American accent; the second corresponds to British English, Received Pronunciation. American English lacks this sound; words with this sound are pronounced with /ɑ/ or /ɔ/. Many dialects of North American English do not have this vowel. See Cot-caught merger. The North American variation of this sound is a rhotic vowel. Many speakers of North American English do not distinguish between these two unstressed vowels. For them, roses and Rosa's are pronounced the same, and the symbol usually used is schwa /ə/. This sound is often transcribed with /i/ or with /ɪ/. The diphthongs /eɪ/ and /oʊ/ are monophthongal for many General American speakers, as /eː/ and /oː/. The letter <U> can represent either /u/ or the iotated vowel /ju/. In BRP, if this iotated vowel /ju/ occurs after /t/, /d/, /s/ or /z/, it often triggers palatalization of the preceding consonant, turning it to /ʨ/, /ʥ/, /ɕ/ and /ʑ/ respectively, as in tune, during, sugar, and azure. In American English, palatalization does not generally happen unless the /ju/ is followed by r, with the result that /(t, d,s, z)jur/ turn to /tʃɚ/, /dʒɚ/, /ʃɚ/ and /ʒɚ/ respectively, as in nature, verdure, sure, and treasure. Vowel length plays a phonetic role in the majority of English dialects, and is said to be phonemic in a few dialects, such as Australian English and New Zealand English. In certain dialects of the modern English language, for instance General American, there is allophonic vowel length: vowel phonemes are realized as long vowel allophones before voiced consonant phonemes in the coda of a syllable. 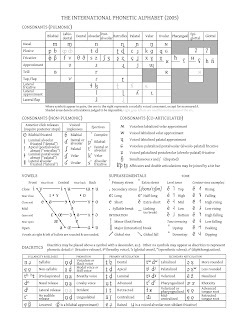 Before the Great Vowel Shift, vowel length was phonemically contrastive. This sound only occurs in non-rhotic accents. In some accents, this sound may be, instead of /ʊə/, /ɔ:/. See pour-poor merger. This sound only occurs in non-rhotic accents. In some accents, the schwa offglide of /ɛə/ may be dropped, monophthising and lengthening the sound to /ɛ:/. International Phonetic Alphabet for English for more vowel charts. 由于需求量的增加，很多行业都需招募各类的社会工作者，例如在教育方面、医疗护理、心 理辅导、婚姻辅导、酿酒和毒品方面的辅导及对年迈者的照顾等，因此这类行业都有着相当好的就业前景，特别是在教育、医疗护理及心理辅导方面。社会工作者除 了在政府部门工作外，也可任职于志愿福利团体、教会及社区中心，从事有关社会福利、健康、社区发展等工作。这个职业的薪酬起点为每年 3.2 万澳元，高的可达到 5.5 万澳元 . 2。物价：你只有长期居住两地，才能真正比较。我认识3个从澳洲移加的女孩，都说澳洲物价比加拿大贵。加拿大有 不少CHEAP 的MALL，如WALMART，$2。73 1箱12罐可乐。0。39$一磅香蕉。50寸电视机才2000$。上网有许多FREEISP，unlimited,我现在用的 $9。98unlimited,电话费$25 /momth,unlimited.打去中国我用$0。28/min 的电话公司。如用电话卡$10打62mins to CHINA，更便宜。上网普及率加拿大世界第二，53%，仅次于美国56%，新闻里刚看到. Although the headline ranking figures show the changes in the survey year to year, the pattern of clustering among the schools is also significant. Some 205 points separate the top school from the school ranked 100 in the 2007 ranking. The top 16 schools, from the Wharton School of the University of Pennsylvania to Iese Business School, form the leading group of world class business schools. The second group is headed by the Anderson School at UCLA. Some 40 points separate the Anderson School from the University of North Carolina Kenan-Flagler Business School, which leads the next group. The fourth group is headed by Edinburgh University Management School and includes schools ranked from 54 to 100. Some 51 points separate these 47 schools. However, there are very few points separating schools within this group.